The whistleblower lawyers at MahanyLaw are investigating a claim that National Seating & Mobility is committing Medicare fraud. Under the federal False Claims Act, people with inside information about healthcare fraud involving tax dollars may be entitled to significant cash rewards for their information. The term “inside information” generally means a current or former employee of the wrongdoer. Although patients are usually correct in their observations of fraud, they typically do not have enough information to establish a “pattern and practice” of fraud. Patient information is still valuable in helping us determine if further investigation or prosecution is warranted, however. According to the company’s website, National Seating & Mobility (NSM) is an Assistive Technology Provider that makes and sells electric and manual wheelchairs and related products. Those other products include specialty beds, bath equipment, car seats, communication devices, gait trainers, lift chairs and even a robotic feeding device. Based in Franklin, Tennessee, National Seating & Mobility has facilities across the United States. We have been told that the company is “upselling” equipment that is not medically necessary and falsifying documentation. The company advertises that it accepts both private insurance as well as Medicare and Medicaid. Under federal law, government funded insurance will only pay for specialty wheelchairs if they are medically necessary. If the company is paying its salesforce on a commission basis, our concerns are even greater. Would you want your family doctor recommending a specialist for you based on whether she received a commission from the other doctor? When a company steals from Medicare or sells equipment that isn’t medically necessary, everyone suffers. Because Medicare and Medicaid are funded with tax dollars, our taxes go up when healthcare providers overcharge. Same with private medical insurance. Increased charges mean higher health insurance rates. Millions of Americans have no medical insurance or grossly inadequate policies. As long as so many families struggle to afford insurance, we have no tolerance of providers that try to cheat the system. Powered and manual wheelchairs are considered durable medical equipment (DME). In recent years, the Justice Department and the Department of Health and Human Services have reported an increase in healthcare fraud involving companies that sell DME. In 2015, the Justice Department fined Orbit Medical Inc. and Rehab Medical Inc. a combined total of $7.5 million for submitting false claims for power wheelchairs to Medicare. Under federal law, Medicare and Medicaid pay for power wheelchairs for patients who cannot perform activities of daily living in their home using other mobility-assistance equipment, such as a cane or walker. To qualify, a physician must conduct a face-to-face examination of the beneficiary and provide the supplier with a written prescription for a power wheelchair. The prescription must be supported by detailed documentation demonstrating medical necessity for these expensive pieces of equipment. 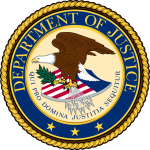 Prior to the Orbit prosecution, the Justice Department collected $4 million from the Scooter Store after finding that company also violated the False Claims Act. Reporting Medicare fraud is the right thing to do. Catching these crooks saves taxpayers billions of dollars annually and makes sure precious healthcare dollars are available for those truly in need. There is another reason, however, to report fraud. Cash whistleblower rewards. Under the False Claims Act, insiders who report fraud involving federal or state healthcare dollars are eligible to receive an award of between 15% and 30% of whatever the government collects from the wrongdoers. Qualifying for an award means filing a sealed complaint in federal court. While the case is being investigated your name typically remains anonymous. Our team of whistleblower lawyers handles all the investigation and courtroom work. You never have to pay us any money unless we win. Our whistleblower clients have received over $100 million in recent years. How real are these awards? The Orbit wheelchair fraud case was filed under the False Claims Act. Two former employees, Dustin Clyde and Tyler Jackson, filed after their complaints were ignored internally. They filed whistleblower reward claims against both the company and Jake Kilgore, a former vice president and sales manager at Orbit Medical. The two whistleblowers were paid $1.5 million for their information against the company. A federal grand jury in Utah indicted Kilgore on multiple counts of health care fraud, making false statements and wire fraud. Rewards are available from the federal government in all 50 states and Puerto Rico. State awards are available in 29 states and the District of Columbia. California and Illinois have private insurance whistleblower reward laws. If you have inside information about National Seating & Mobility or any other healthcare provider defrauding private insurance companies, you may eligible for a separate reward. We remind readers that National Seating & Mobility has not been charged with a crime or accused of wrongdoing. Because we have received information about this company doesn’t mean the information is accurate. Despite widespread fraud in the durable medical equipment industry, there are many companies that do not break the law. At this point our investigation is just that, an investigation. We encourage whistleblowers with inside information – good or bad – to step forward. Do you have information that will assist our investigation? Call us today.